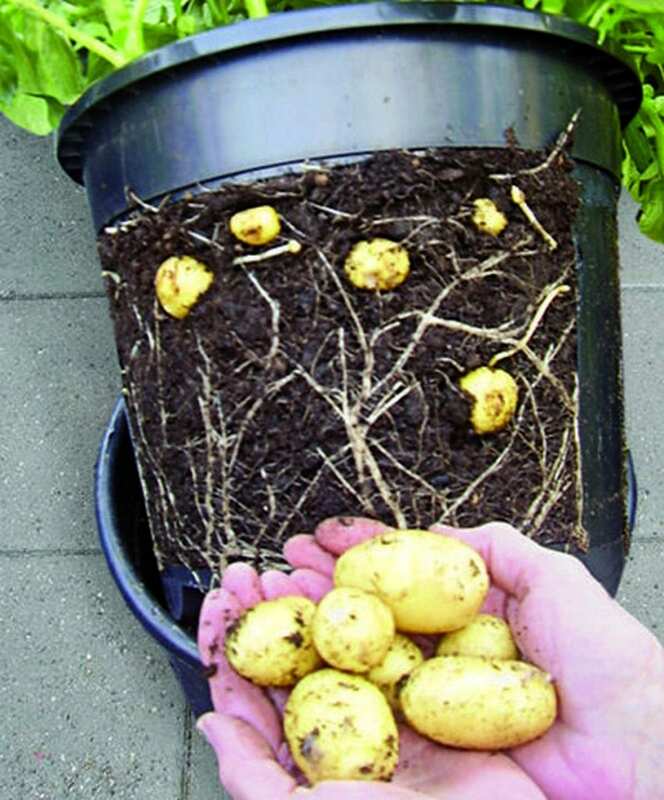 How to Grow Potatoes in Buckets Without Digging | The garden! Growing potatoes? Here’s a great idea for you! A lot of people have been growing potatoes in buckets. If you have a small garden space, this makes gardening more accessible. Additionally, harvesting is made easier. With all the tubers growing in one place, you wouldn’t have to get down on your knees and dig each one out. This project will make potato-growing and harvesting easy for everyone. Come to think of it, this can be great bonding activity for the whole family to enjoy. It’ll be fun getting the kids involved in the growing process. They’ll appreciate the food even more. Make sure to get black buckets! And oh, don’t expose them to direct sunlight as well. Happy planting!